For those of you with IBS (Irritable Bowel Syndrome) and following the Low FODMAP diet, this Kale and Blueberry Quinoa Bowl is free from excess FODMAPs. Check out the note below the ‘method’ section for some details on how to keep this recipe safe and nutrient-packed FODMAPs. For those of you without IBS and not following the Low FODMAP diet, don’t worry, this is still a great salad. Prepare kale – wash, remove stem and chop into bite-sized pieces. 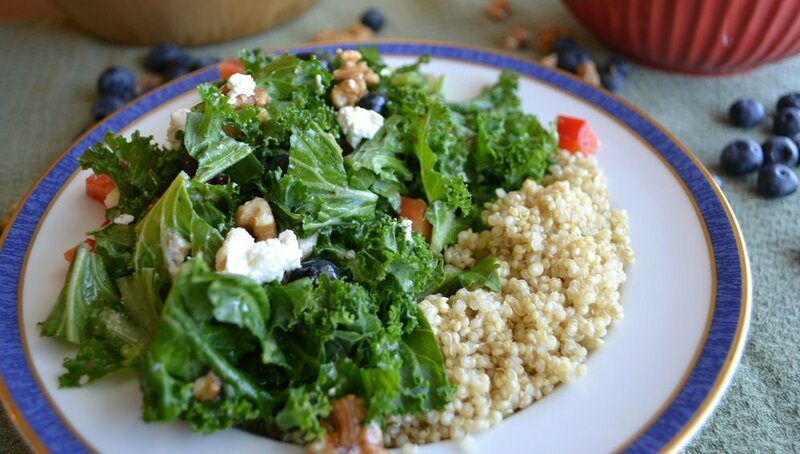 Combine kale with diced cucumber, red pepper, walnuts, goat cheese and blueberries in a large salad bowl. Drizzle salad with a small amount of the dressing (approximately 1/3 of total dressing). Let sit for about 10 minutes. This will work to soften the kale a bit. If making this during the elimination phase of the diet, I recommend making the salad part of the recipe without the blueberries, goat cheese and walnuts. According to the Monash FODMAP App (as of August 2018), kale, cucumbers and red peppers (capsicum) can be eaten freely, so there isn’t a risk of serving oneself too much of these in terms of FODMAPs. For the other ingredients, the blueberries, walnuts and goat cheese, I suggest adding the safe servings directly to the individual bowls, after the quinoa and kale mix has been plated. In other words, add 3/4 cup quinoa to each bowl, add kale/cucumber/red pepper mix on top of quinoa and then to each of the 4 bowls add 1/4 cup blueberries (approximately 20 blueberries), 1 tablespoon plain goat (chevre) cheese, and 2 tablespoons of walnut pieces. Then top with dressing (dressing is low FODMAP as long as using low FODMAP Dijon mustard). 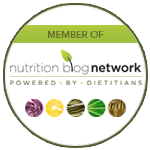 Looking for support for Irritable Bowel Syndrome (IBS) and how the low FODMAP diet may help? CONTACT US. 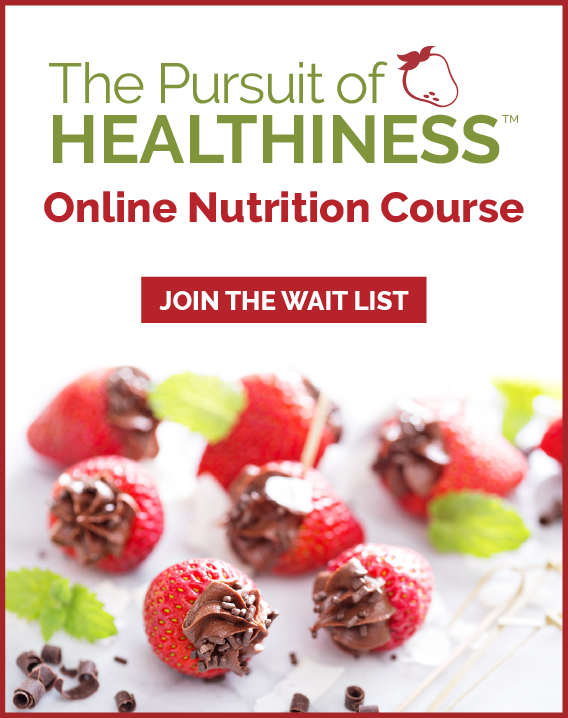 Have Kate Chury our digestive health Calgary Nutritionist and IBS Dietitian walk you through step-by-step the best diet plan for IBS to help you manage your symptoms for gas, bloating, constipation, diarrhea and other gastrointestinal symptoms. 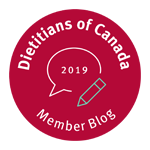 As one of the specialized IBS dietitians of Canada, Kate Chury can see you in our local Calgary dietitian office or by phone or video conferencing for virtual nutrition counseling.